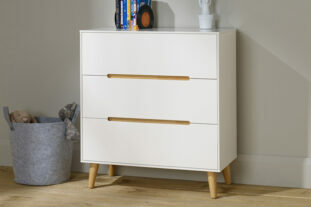 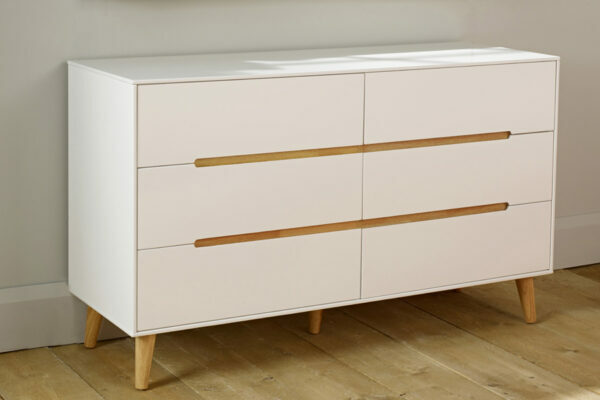 This one of a kind chest is just fantastic, with it’s 6 considerable sized drawers and beautiful scandi design, it really is a favourite in the Bodo range. 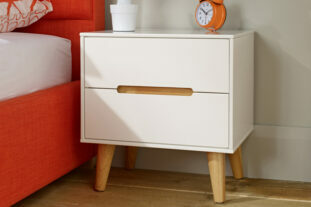 With it’s retro on trend look it will stand out in any room. 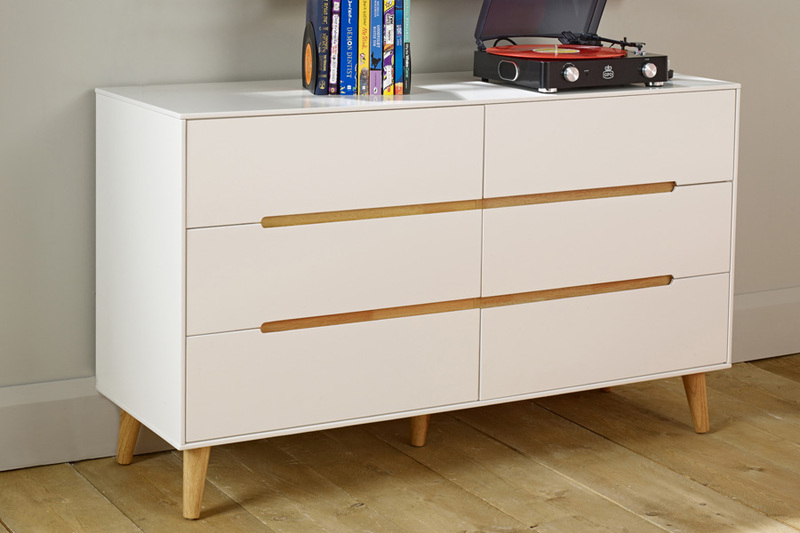 Finished in a gorgeous silk white lacquer with oak effect recessed handles and elegant tapered legs.